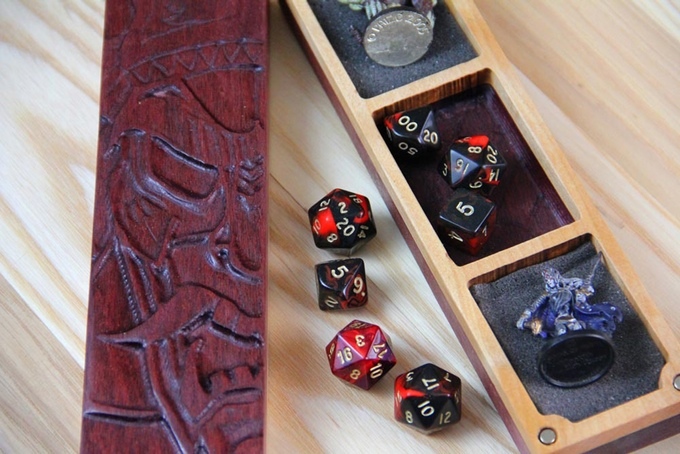 A fully sculpted customizable carrying case for your RPG and gaming gear. Available in a variety of woods, colors, and interiors. Organize your gaming supplies in this high quality, customizable sheath. 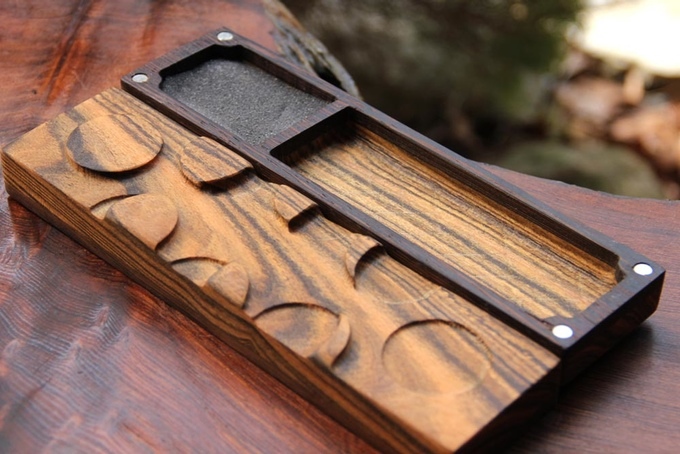 This solid piece of hardware is designed specifically for tabletop and RPG gamers - you pick the wood, the sculpts on each side, and the interior chamber. This is not Dog Might Games’ first successful Kickstarter or their first high end board game accessory. As visit to their website reveals that they have five product lines and frequently offer one of a kind items throughout the year. 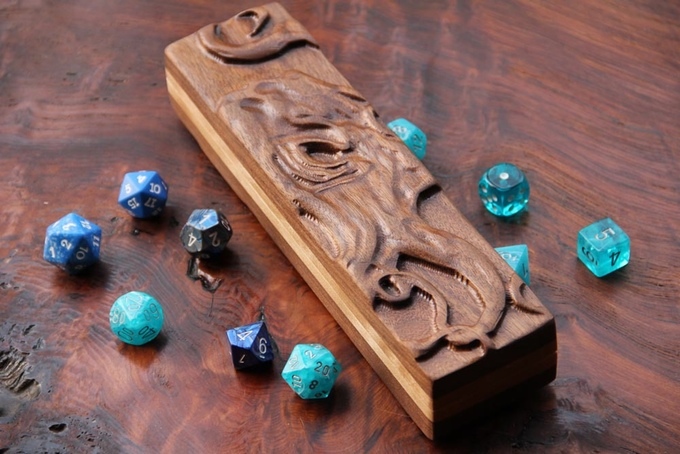 The Dragon Sheath looks to be a perfect accessory for the RPG gamer who wants an easily transported statement piece; it’s said to be highly durable and measures approximately 8.5” x 2.25” X 2”. 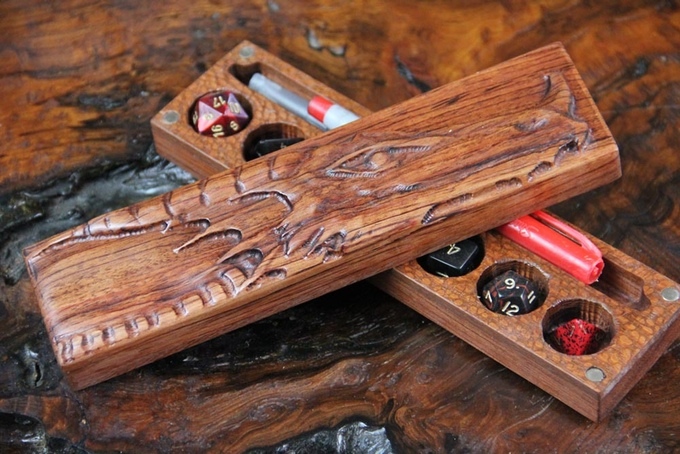 The Dragon Sheath comes in a wide variety of wood types, interior configurations, and decorative outside "sculpts." As the Kickstarter campaign progresses, Dog Might promises to continue to add more options based on backer feedback. Check it out here.